Paan Paan. 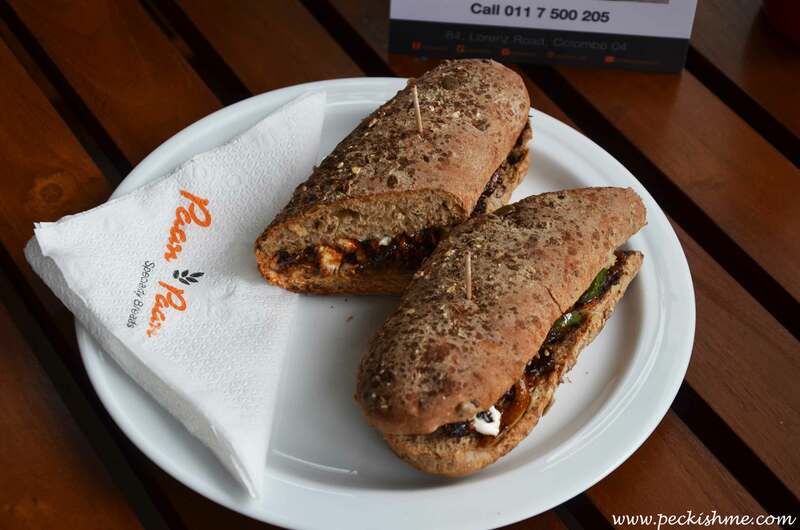 Even when you hear the name any Sri Lankan would guess it – yes they deal with bread. 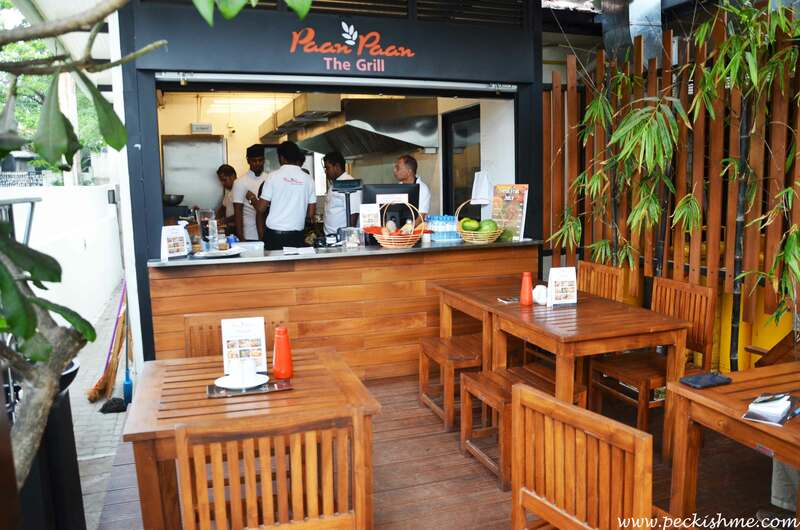 Paan Paan has been creating waves in Colombo with their breads for quite some time now, but what we didn’t know was that they also got their very own grill – Paan Paan The Grill. And they combine their unique bread with the grills that come out of the place, which I think is something that works. Between 2 of us, we tried 6 of their specialties on that day (yes we do eat a lot), each one very different from the next. The subs are all 9” and when choosing a sub, you have a choice between three breads – Multigrain bread, regular white bread and cheese & herb bread. We tried the subs in all three of these breads. This one we liked a lot and had with the regular white bread sub. 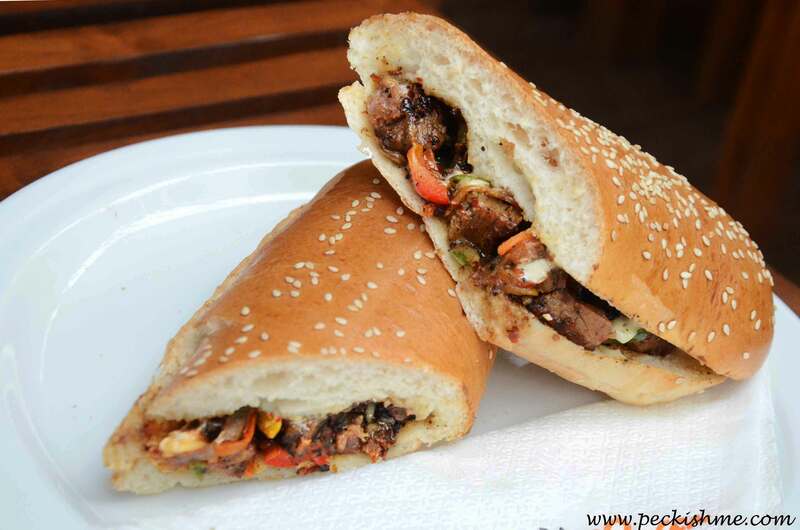 Moist beef chunks were tossed together with onion, slivers of carrot, tomato, and bell pepper brought together with a piquant pepper sauce which was very becoming of that gorgeous sirloin beef. It was very meaty and the slightly charred beef had a wonderful smokey taste which I instantly liked. The bread was rather remarkable. 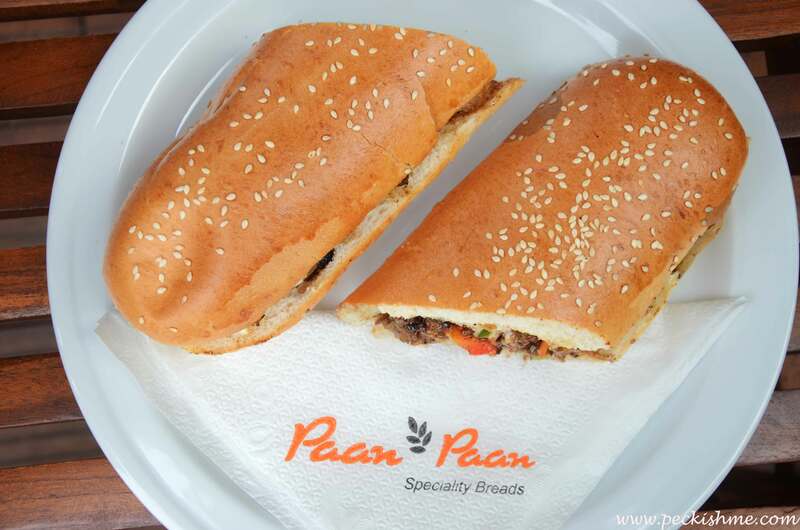 Soft and buttery with nicely toasted sesame seeds on top, the soft bread that was nice and toasty on the outside complemented well with the practically melt in the mouth beef, giving it an overall buttery and comforting feel. At Rs 700, we felt that this was a real treat. 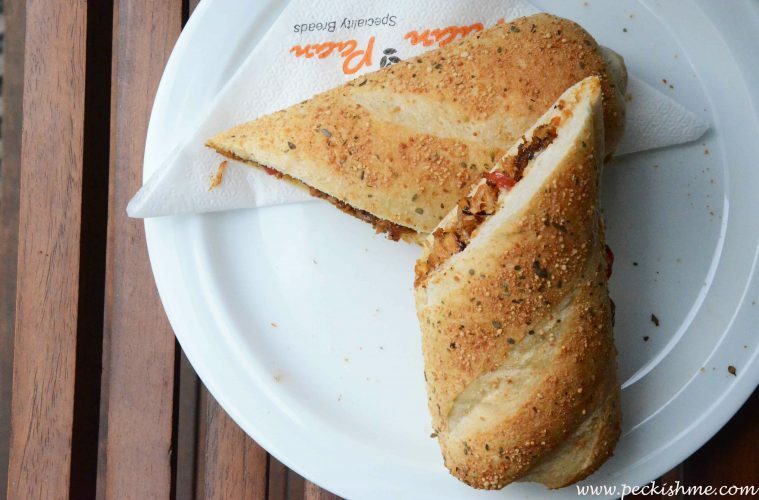 The cheese & herb bread was our chosen sub for this one. And boy, were we glad we chose that. Let me first gush about the bread. Sprinkled with parmesan with delightful rosemary, this bread takes me straight to Italy with a clean hit of herb. 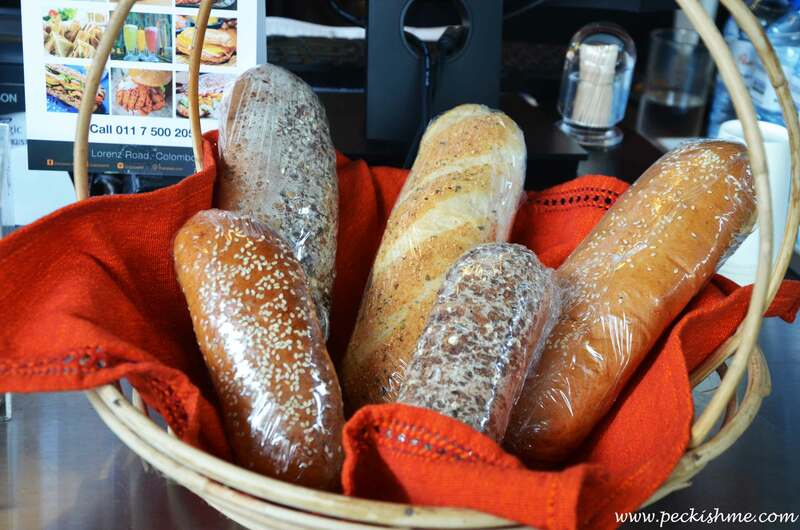 Beautifully mild flavors, clean and luscious, the bread itself was soft and buttery. I’d go for this bread alone. 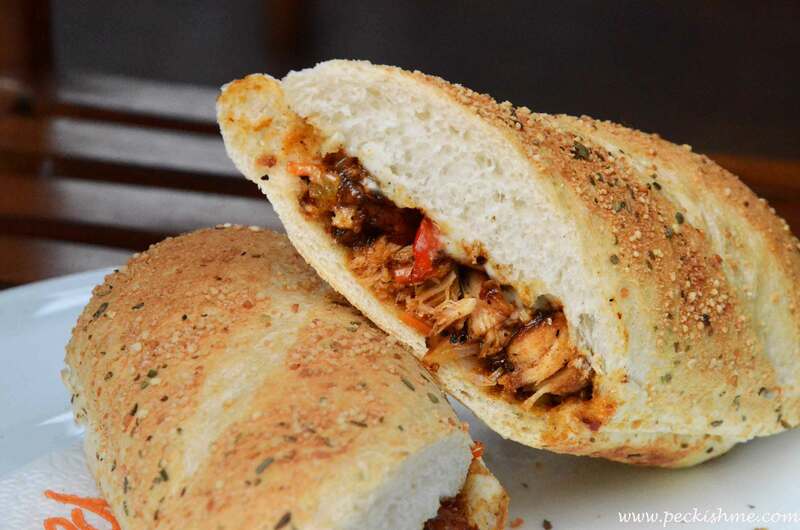 The BBQ chicken sub comes with large chunks of chicken, caramelized onion, bell pepper and carrots brought together with a BBQ sauce. Although the chicken was barbequed, we did not get that smokiness that is usually associated with BBQ chicken, but it was good chicken so we can’t complain. The sub on the whole was flavorsome and slightly sweet with a tanginess that laces through it all. 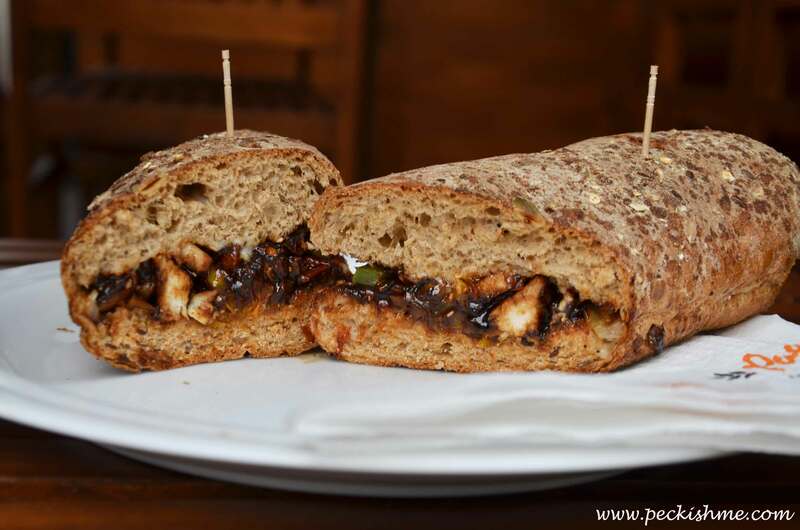 At Rs 550, the Teriyaki chicken submarine comes in a 9 inch bun with grilled chicken, sesame seeds, onion, carrot and tomato coated in a thick, treacle-like Teriyaki sauce. There were generous chunks of chicken and slivers of caramelized onion scattered right through the bun with a generous sprinkle of toasted sesame seeds that go ‘pop’ in your mouth as you chow your way in. The flavors were mild and there was a play between the sweet and the salty, although we found the salt to be a tad overpowering. The bread was toasted well and there is nothing I like more than a comfortingly warm sandwich with perfectly toasty bread and this delivered exactly that. We took the multigrain bread option for this. The bread was soft on the inside with a beautiful crust on the outside and when you bite into it, you are also biting into a generous amount of seeds and grains as well, embedded within the bread. I have had terrible experiences of tandoori here in Sri Lanka – it had always been too charred, always too salty, too limey, too bitter or spicy, nobody here really does it right. 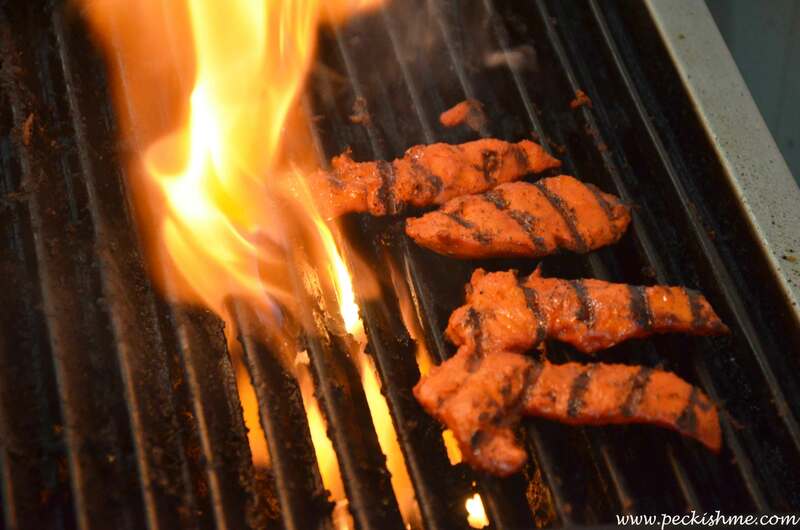 After living in both Pakistan and India as a child, I had high expectations of my tandoori. Hence it was with a bit of skepticism I approached this tandoori burger. A bite of this and my doubts and misgivings were quelled. I was instantly taken back to the time I lived in Pakistan as a child, the smokiness of the atmosphere, the succulent meat, the tanginess of the mint and the coriander, beautiful memories all tumbling back to me. Upon inquiry, I was told that due to the fact that they don’t have a proper tandoori seasoning here in Sri Lanka, they bring it down from Pakistan. Bam! I love it when I’m right. There is a delightfully fresh, minty lime flavor coming through and is indeed everything we love about tandoori and more. 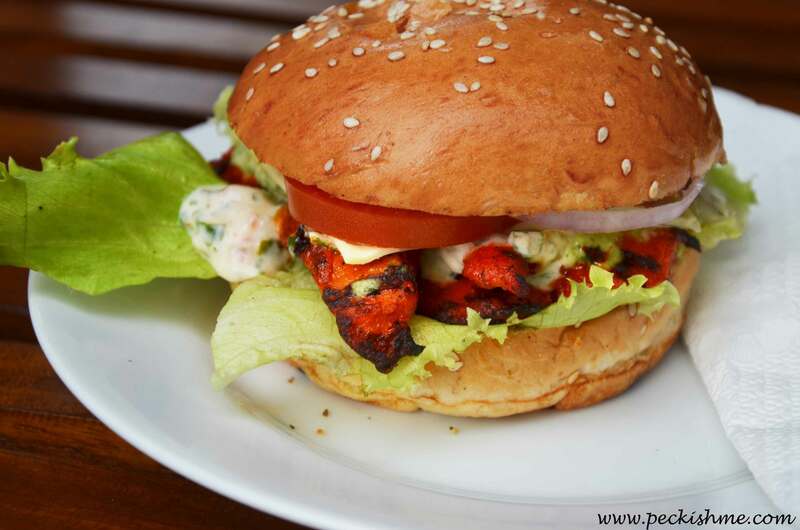 Tender boneless chicken barbequed on an open grill and served atop a soft, buttery burger with a cool curd, cucumber and coriander raita, mint chutney, onions, tomatoes and lettuce. 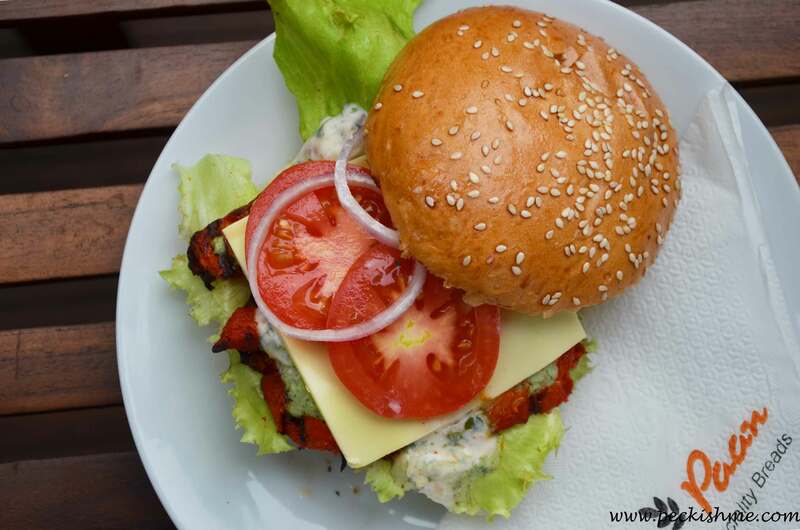 Topped with a cheese slice, amongst this mélange of flavors is a lovely cheesiness attributed by the tangy curd in the raita as well as the cheese and the butteriness of the bun. This for me, was a trip down the memory lane. At just Rs 450/- I highly recommend this for tandoori lovers who know a good tandoori when they taste one. 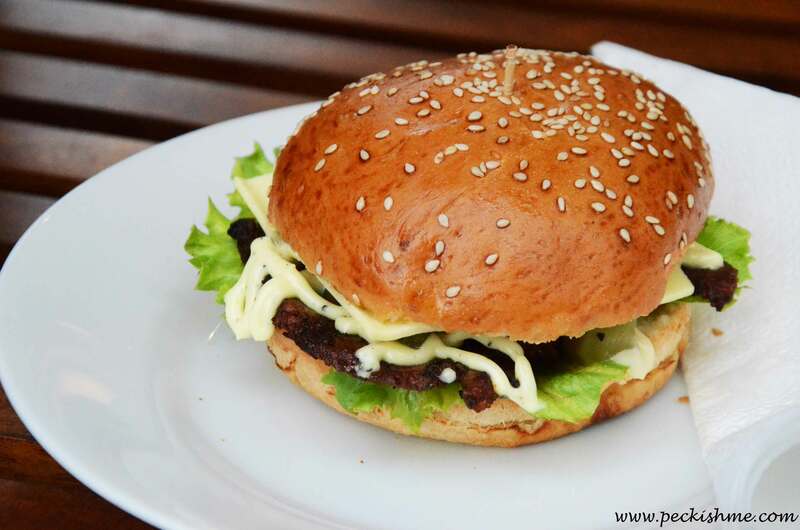 Grilled sirloin beef, mustard sauce, tomato, onion, lettuce, cheese and gherkin enveloped in a soft sesame seed-topped bun. 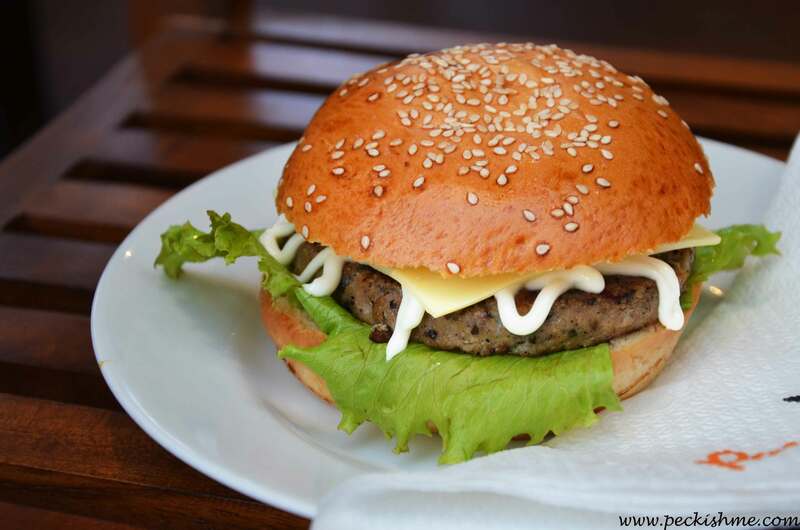 At Rs 600, this burger is satiating. 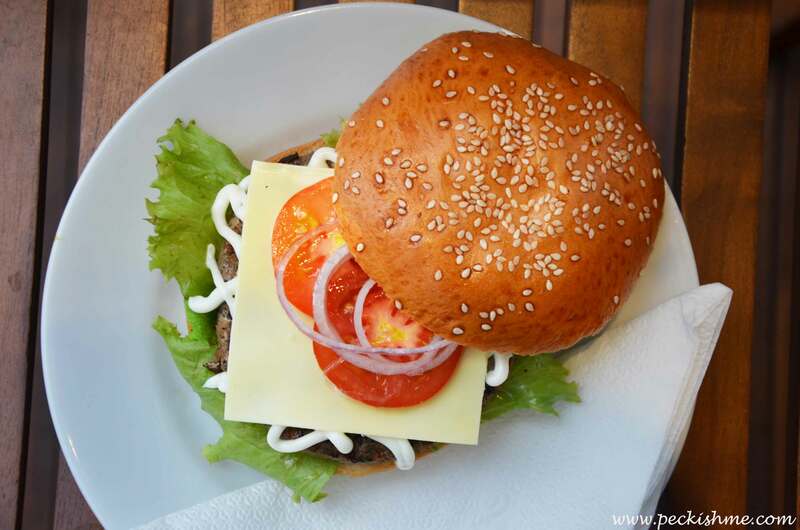 There is a general mount of beef involved and once you bite into it, there is a fine balance between the crunchiness of the beef, the slight tang of the pickled gherkin, the creaminess of the mustard sauce, the cheese and the soft buttery bun. I like my meats chunky and juicy and this beef for me was a tad dry, but for those who like their meats with a crisp, this is the ideal burger. This is unarguably, the best fish burger in town. I’m not a fish person, I avoid fish at any cost and would go to great lengths to avoid them – but this, THIS is a fish burger that I will not only voluntarily order, but also eat 2 or 3 of unabashedly. 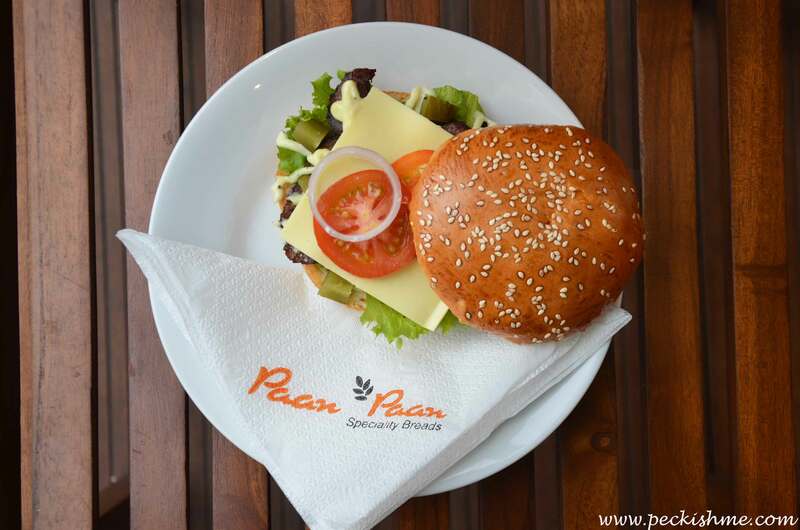 Succulent, juicy thalapath patty grilled to perfection, served with cheese, onion, tomato, lettuce and mayonnaise in the Paan Paan signature burger bun, this is literally burger heaven. And to top it off, it’s so very healthy! Never knew healthy to be so yummy and be served in between a burger bun! This is burger heaven and has my stamp of approval. Two thumbs up! 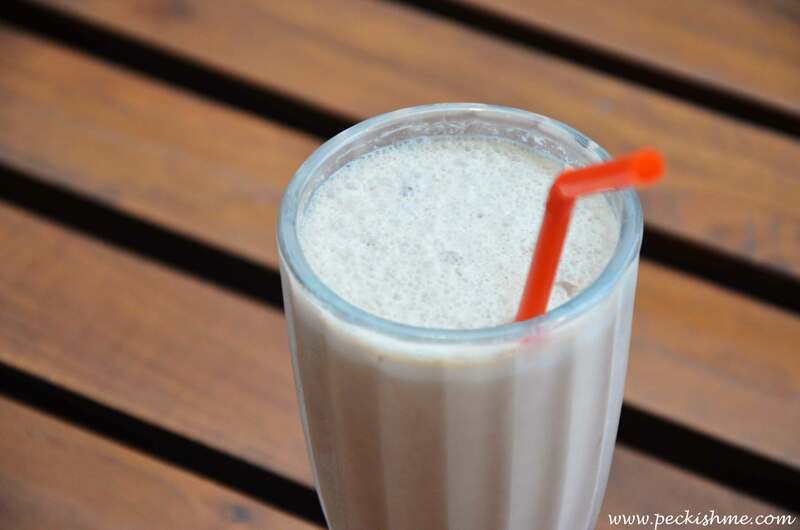 You’ve had the iced Milo at Pilawoos and have lamented at the decline of its quality. Now have the iced Milo at Paan Paan. It’s much cheaper at Rs 200/- (yeah not kidding) and you get a nice, tall glass of sweet milky, Milo-ness all yours to sip at while you gorge on all those burgers and subs. Really, it’s so worth it. Between the two of us it took quite a while to finish and those who know us, know us to be quite the champion eaters. 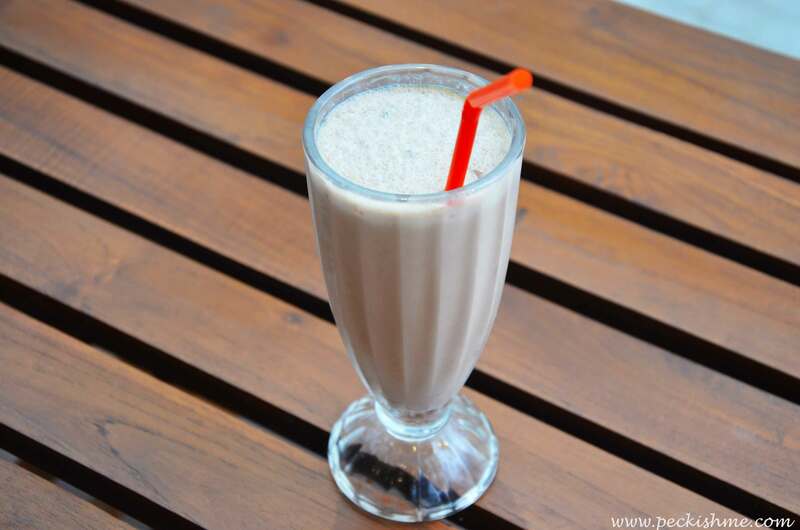 The milkiness is extraordinary and me loving all things milky and creamy, loved this lovely iced Milo and would be going there again for a sip of this. We left with our tummies full and our faces smiling. 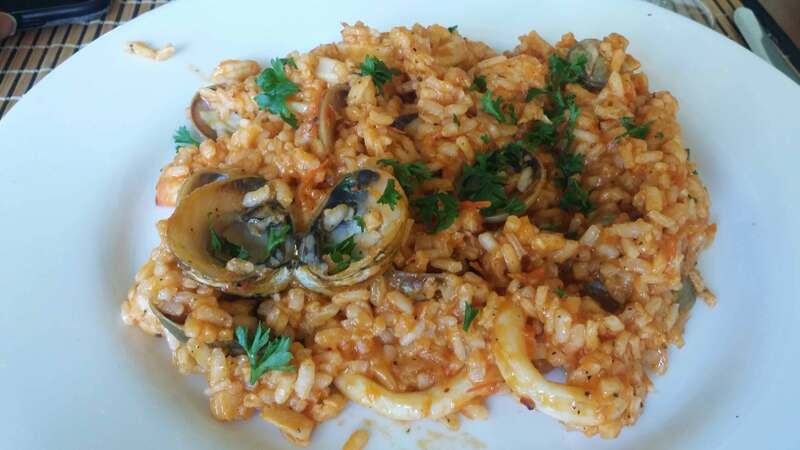 Overall, it’s more of a take away spot than a dine-in, but if you want to dine in, they have a comfy space up there with the cheerful and warm hustle and bustle of the open kitchen accompanying you through the meal as well. It has got that bistro kind of feel and is great for a quick chat over burgers and iced Milo with friends. We loved the food, the drink that we tried and will be definitely coming back for more (particularly for that lovely fish burger, the beef sub and oh the Iced Milo. Yum!). 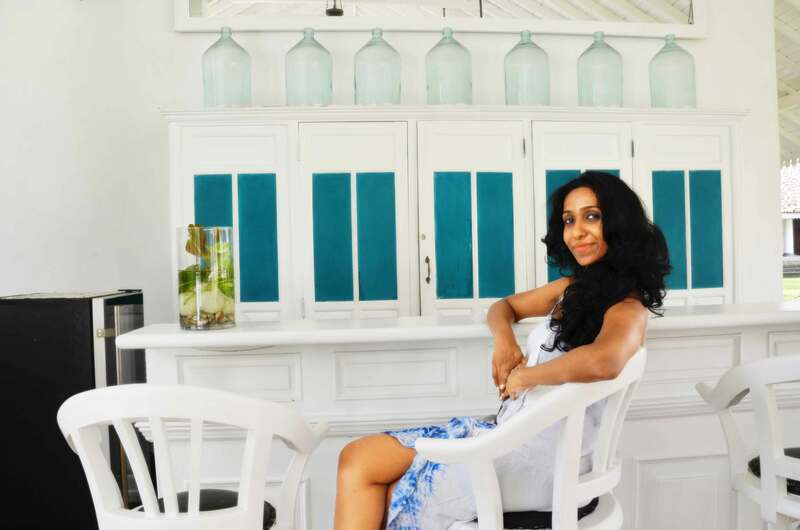 What I liked about them the most is that their food is extremely health conscious. Neither the burgers nor the subs are oily (try a regular burger or a sub from someplace else and you’ll find yourself blotting your lips from all that excess oil. This is why I avoid subs and burgers in general) as all their meats are grilled and not fried. The sauces they use are made fresh in house as well and the breads they use are their own. And I can fully recommend their breads as one of the best out there. Being a bit of a health freak myself, this little spot suits me just perfectly. They also have a delivery service we are told and will deliver within Colombo. *This is a sponsored post. However, the views expressed in this post are entirely the independent views of the author alone.